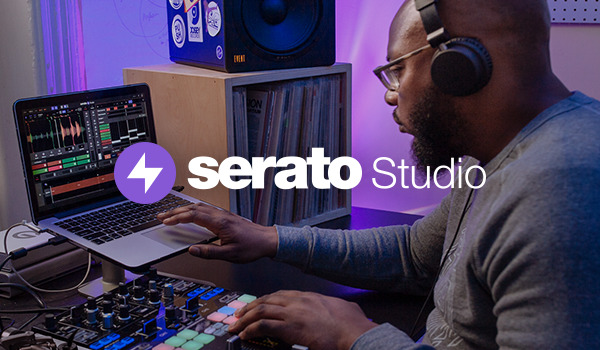 Naturally we see a lot of scratch videos here at Serato HQ. And yet, there will be those DJs who stop you in your tracks as you watch, open-mouthed in disbelief that someone can pull moves like that. And still keep it 11/10 funky. Seriously, scratch fanatic or not you owe it to yourself to check out a Manwell routine. Born in Brooklyn, bred in Columbus, Ohio and based in LA, Manwell first caught the DJ community’s attention as the regional LA DMC champ in 2012. Then again in 2014 and 2015. His sets are inspired by the old-school, stacked with funk and soul breaks and out‑of‑this‑world beat‑juggling and scratching, while keeping it experimental and owning his own sound. And if that wasn’t enough to keep him busy, he’s a prolific producer as well. Obviously, we had to link up with Manwell ‑ watch him work his magic on 14KT’s “RockaBye Baby” from our LA studio below.